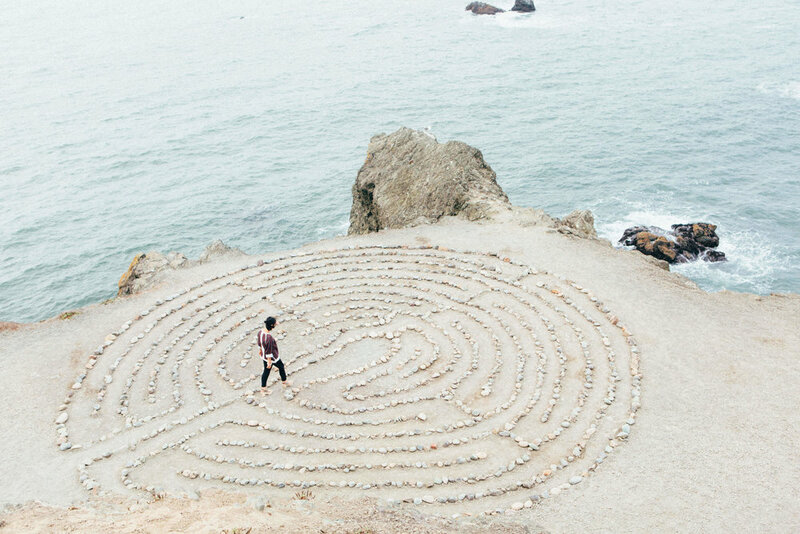 The following post is the final installment of a four-part series on developing a meditation practice by Kellis McSparrin Oldenburg, a graduate of our Yoga Pedagogy program and, most recently, an Independent Study student with TaraMarie Perri. Kellis currently lives in New Orleans, Louisiana, where she is a company member of the Marigny Opera Ballet. She is also an adjunct instructor in the University of Southern Mississippi Department of Dance, as well as a freelance choreographer, teacher, and yoga instructor. When I entered into my meditation practice, I was solely concerned with “figuring out” my seat. I gave little thought to how meditation would ripple into the rest of my life, frankly because I was skeptical of it in the first place. However, slowly and subtly, my seat became more that a checkmark on my to-do list, a personal indulgence, or an exploration of mudra; it became more than just a seat. It filtered its way into the fabric of who I am, and I started noticing subtle changes in how I saw the world and myself. Out of all of the ways my seat has shaped and continues to shape me, I have sensed its ripples most through gratitude, mindfulness, and lightness. I have become more appreciative of myself, people, opportunities, nature, and life. I find myself being more grateful and thankful for my blessings, appreciating what I have and letting go of what I don’t have. This gratitude has allowed me to find true value in myself and in others. My seat has also made me more conscious of the things I do, say, and think. I am impulsive by nature, but my meditation and yoga practices have helped me find more intention and care in the ways I interact with people and myself. This mindfulness has made me a better wife, friend, daughter, teacher, mentor, and artist. Lastly, I have stopped taking myself so seriously all of the time. I am finding more joy in the simple and small things, and I am approaching my work, art, marriage, and life with more compassion and luminosity. I’ve noticed that lightness is a “two-way street”: it is about investing in joy when things are good and remaining gentle and understanding when obstacles or challenges arise. I am still a mover. I still feel most myself when I’m in a state of constant motion. What meditation has taught me is that my seat is not actually a seat at all: it is a living, breathing, ever-changing thing. It is, like me, in constant motion. It is a moving stillness that has no destination—only a journey of gratitude, mindfulness, and lightness.